PC Pro magazine is one of the leading monthly magazines in PC section, designed for techno savvy people, who just want to remain updated with the latest technology in the IT and computer section of the world. It caters to all kind of needs of those serious IT buffs and provides the actual inside-out of the section. The magazine provides the platform to all those related closely to Information and technology field, as well as computer field, to find out the new innovations in the field, share and exchange of ideas and contribute to the world changing technologies. The magazine keeps the people remain updated with latest products and new technologies in the field, through their cover stories, reviews, blogs and articles and thus, helping its readers to make a correct and effective decisions and to avoid purchasing mistakes, while they go out in the market for purchasing the accessories. Besides bestowing upon with analysis of products, it also offers free software along with its edition. For beginners too, who want to dabble in this field and hone and foster their knowledge, PC Pro magazine provides the first choice. It also quenches the thirst of knowledge of any inquisitive person who wants an independent, detailed and illustrative analysis on the existing market products, as well as the new emerging technologies in the computer field, that is it related to hardware or software. 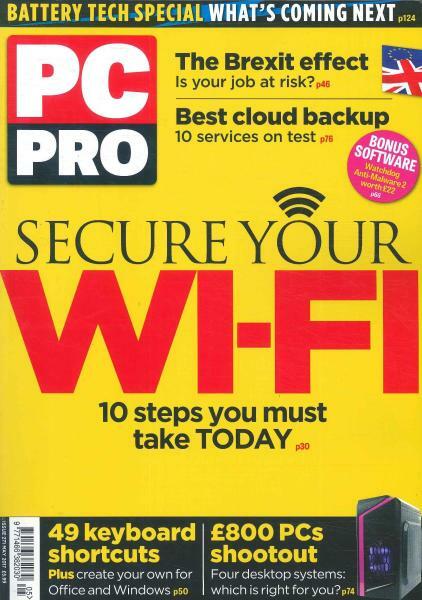 Magazine: PC Pro Useful, informative, full of technical detail with allows informed decision making. Interesting articles on relevant technology.